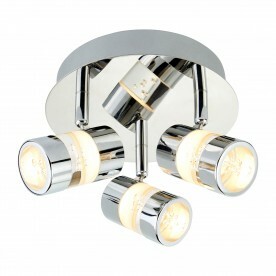 This Bubbles chrome 4 LED 4 Light spotlight with adjustable bar looks fantastic on the ceiling of any bathroom. 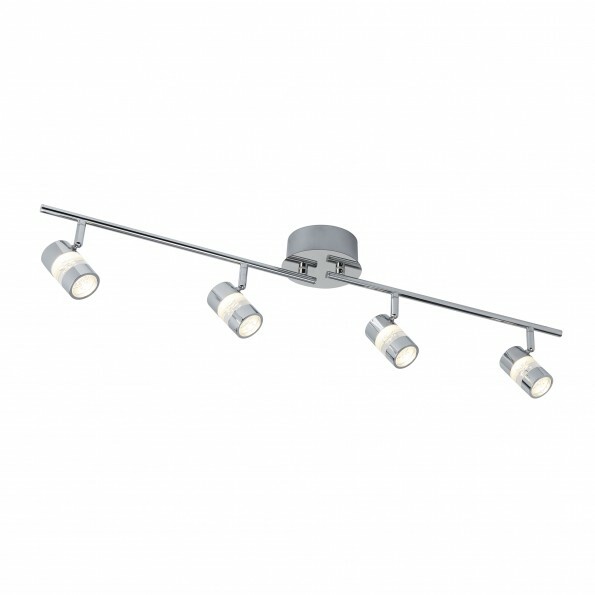 The sleek, chrome bar fitting has the latest LED technology with bubble effect shades, which are both quirky and stylish, and the IP44 protection makes it suitable for all bathrooms. 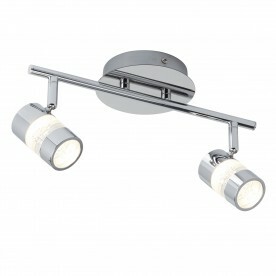 This spotlight provides an adjustable source of light and an interesting feature.